You’re engaged, and it is officially time to start the wedding planning process! Whether you are planning a grandiose ballroom wedding or desire an intimate affair, look no further than Las Vegas. 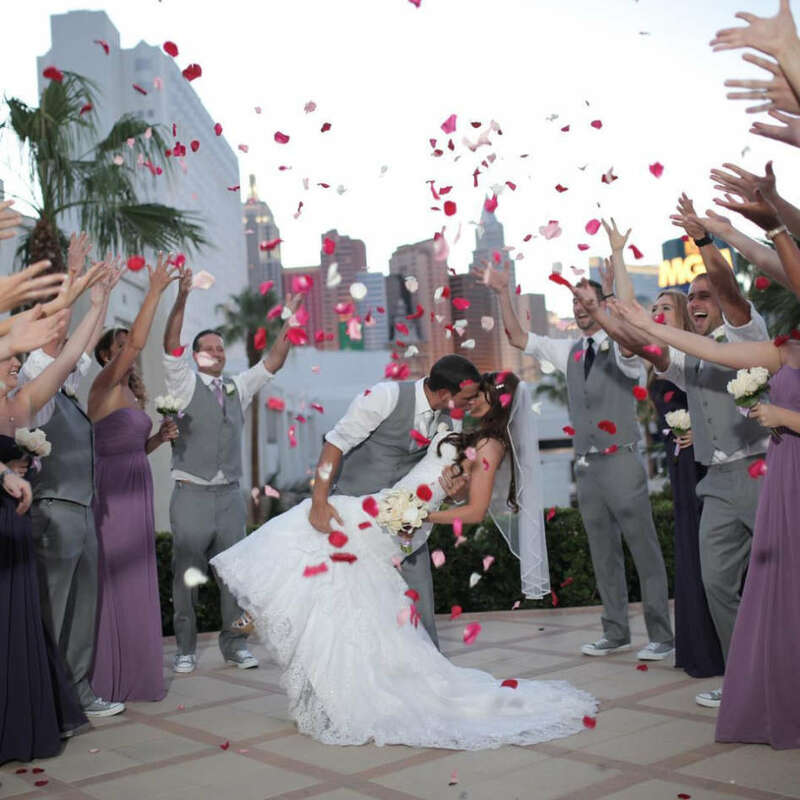 With everything from traditional Las Vegas wedding chapels to stunning outdoor wedding venues, Las Vegas has everything for your perfect day. Below, we’ve curated a handful of wedding venues at some of Las Vegas’ top resorts. From the top of the Eiffel Tower in Las Vegas to a hidden paradise behind the Tropicana, each and every one these wedding venues are seriously impressive. So save yourself some time and check out our must see Las Vegas wedding venues. Have your wedding ceremony 460 feet about the Las Vegas strip on the observation deck of the Paris Las Vegas Eiffel Tower. After the ceremony head down to the Chateau Nightclub and Rooftop for a glamorous wedding reception. This space can accommodate your entire guest list with 22,000 square feet including a dance floor. 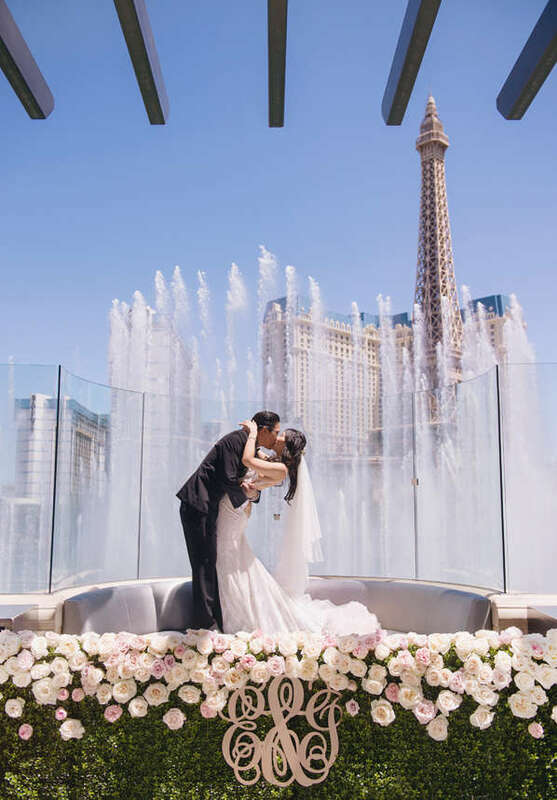 Located beneath the iconic replica of the Eiffel Tower at Paris Las Vegas, with views of the strip, you and your guests will revel in all the glitz and glamour of your wedding day. Tres magnifique! For as simple and elegant garden wedding, get married on a private terrace. You and your guests will be surrounded by manicured gardens with views of the Las Vegas strip as your backdrop. 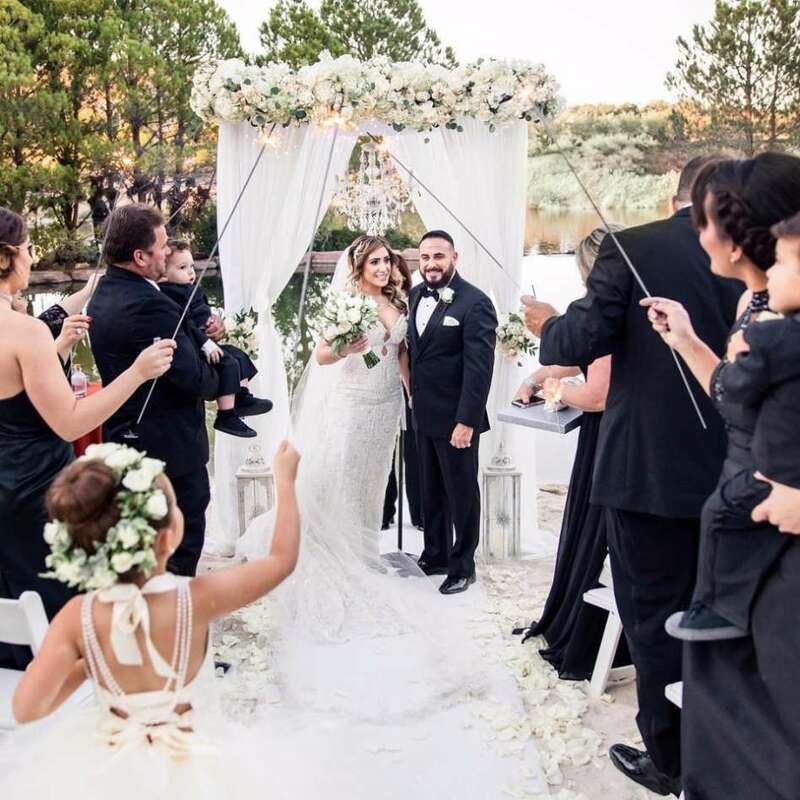 Weddings by Tropicana Las Vegas also include the reception venue in their packages, you are able to select either a private ballroom, or semi-private on-site restaurant locations after the ceremony. The Flamingo Las Vegas is a stunning wedding venue, with over 15 lush acres of tropical gardens, cascading waterfalls and flamingos roaming around. Many celebrities have been known to tie the knot as this iconic Las Vegas resort. If you look closely above, you can see that this adorable couple was also married by celebrity. 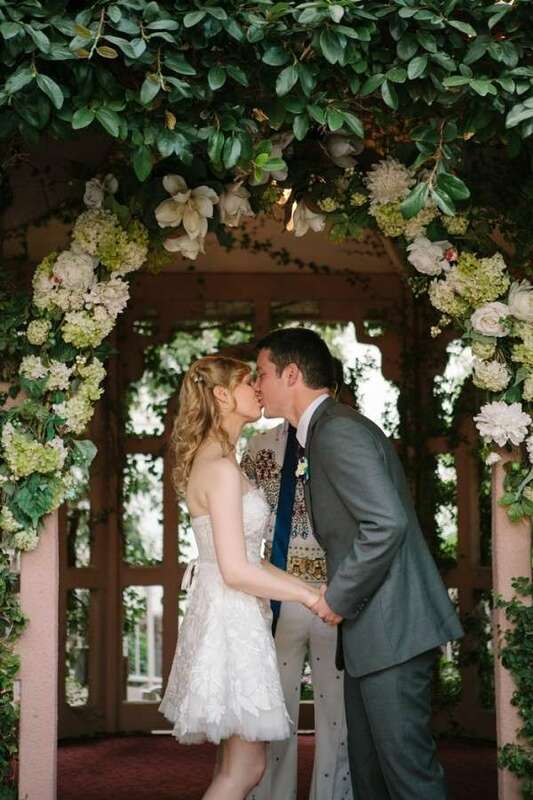 You’ll feel as if you are in a Grecian garden when you say your vows at the Venus Garden at Caesars Palace Las Vegas. You and your guests will be surrounded by tropical palm trees blooming florals, a picturesque fountain as well as a Koi fishpond. Tons of prettiness for photo opportunities. The Hyde Nightclub at The Bellagio is for the chic, modern and stylish couple. 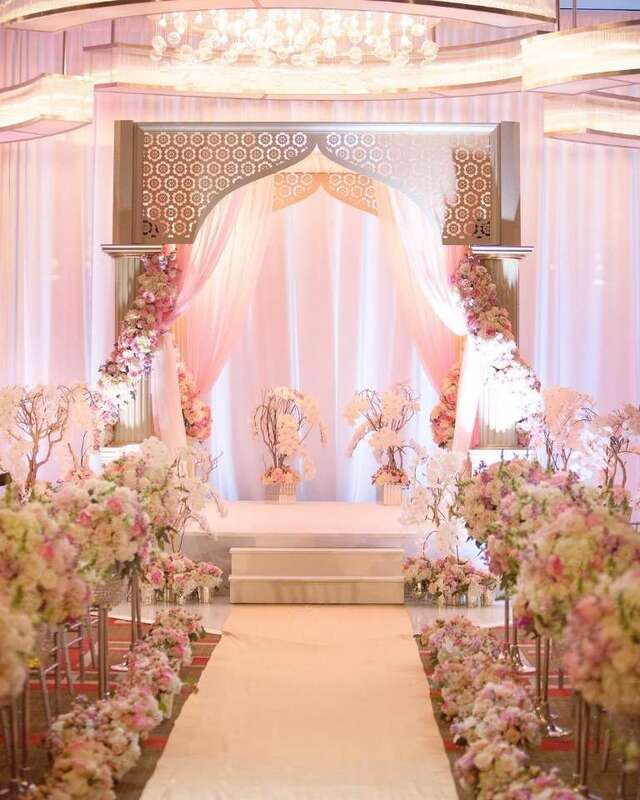 A sophisticated space that can be transformed to accommodate any wedding style. We also have to mention that at the end of your wedding ceremony the Bellagio fountains will perform to all your favorite songs, especially for you. Let&apos;s just say when you have your wedding at the Waldorf Astoria Las Vegas you will feel like you are a princess. They&apos;ll cater to your every whim, soothe you with spa treatments, and go above and beyond to ensure that you feel magnificent from start to finish. You&apos;ll even have your own private porte-cochère entrance (a passageway through a building to let vehicles pass from the street)! Now, that is the royal treatment! Create the glamorous ballroom wedding of your dreams at MGM Grand Las Vegas. This particular venue package offers not only the venue, but also includes the officiant fees, a professional pianist, a wedding photographer, a flower allowance and so much more. Weddings at Hilton Lake Las Vegas have several locations for a breathtaking wedding. A courtyard wedding, garden area or beach side wedding like the one above. You can also get married at Las Vegas’ only over-the-water wedding chapel. The LaCapella di Amore Wedding Chapel is located directly over the Pontevecchio Bridge and offers old world elegance and charm.